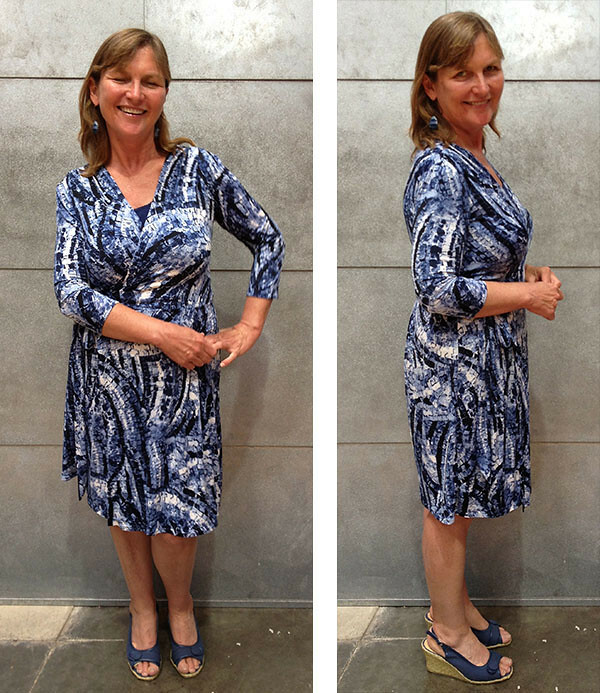 I’ve realized that, while I love to sew, I don’t really like sewing apparel. It’s because my size fluctuates so much; fitting is a real drag. Those dresses I made last summer? They are currently a bit, ah, snug. She was sweet enough to trace off her modified pattern and send it to me. Then she was kind enough to gently nag me for a month or two, eager to see my version. I’m ashamed to say it took me many more months to finally sew this baby, and then another few weeks to buy steam-a-seam and a twin needle so I could finish the edges. And then it was too hot to wear it to work. But today, oh yes, today! I wore the sucker! And I kinda love it. I got half a dozen unsolicitations, and I was extremely comfortable all day long. So much so, I was inspired to spent an hour trolling the ITY knits at Michael Levine’s. Four more versions, some tights and scarves, and I reckon I have my winter work wardrobe set. It’s been a year. 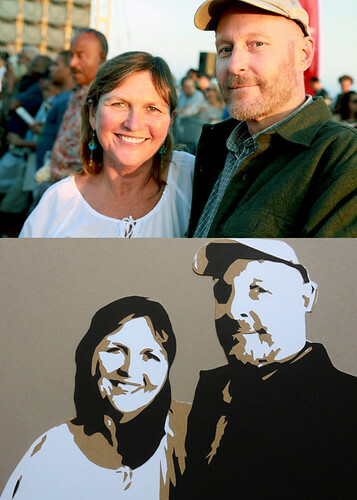 And, as paper’s the theme for a first anniversary, I had a crack at a papercut portrait of us. I think it turned out OK, though he looks like a pirate. Things are good with the Guy. I’m happy.